Conceptualizing a mobile app and developing it is only half the battle won. Before making it accessible to your target audience, take a break and formulate the next course of action which will help you reach your intended goal. You’ve spent quite a few sleepless nights working on your app. Now that it’s ready to launch, your primary goal is for your audience (first) to find it and (then) download it. Unsurprisingly, making your app searchable and encouraging the users to actually download it, requires a whole lot of planning and testing. 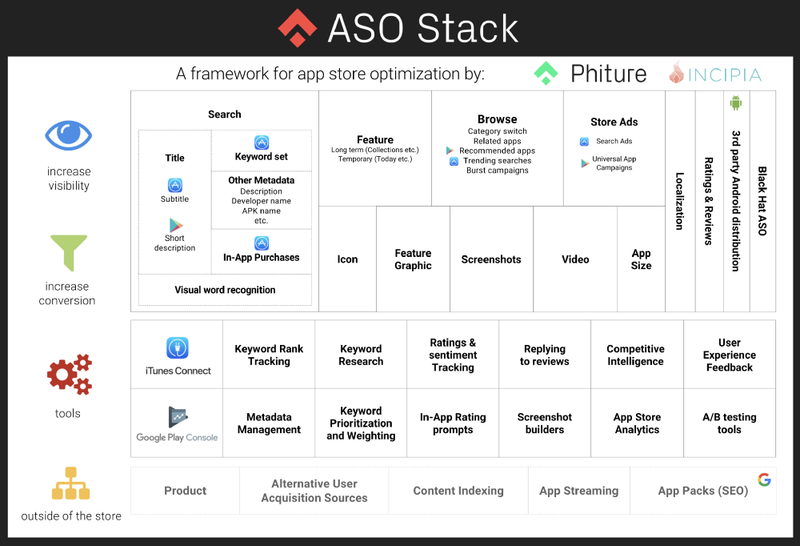 Here, App Store Optimization (ASO) comes in. There are a number of elements that make up the ASO stack (diagram below). Your app should be perfectly optimized before it hits the App/Play Store. Even after the launch, you should always be on the lookout for any optimization opportunities to stay at the top of your game. In this article, we’ll talk about the first and foremost optimization action you should take – keyword research and implementation. Mining the right keywords and including those in your app’s metadata will not only fetch your app visibility but will also boost your app downloads. It’s all connected – the easier it is for the users to find your app, the more downloads it will get, which in turn will increase its relevancy, and as per the Play Store algorithm, it will be pushed into the spotlight. Before carrying out an extensive keyword research, identify your target audience. Chances are you’ve already done this part of the research before you developed the app. Now the challenge is to get discovered by stringing together the perfect mix of keyword permutations and combinations. 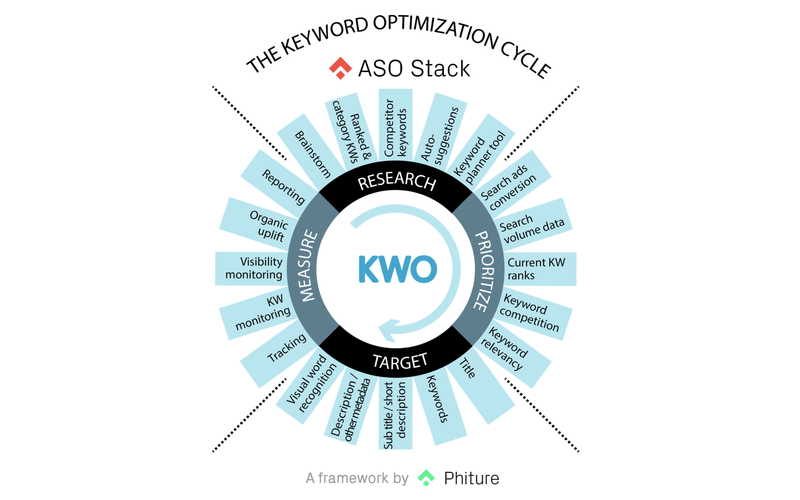 Take a look at the Keyword Optimization Cycle designed by Phiture. These are the steps to be taken to ensure that your audience will be able to find your app among millions of apps of varying popularity pervading the App Store. 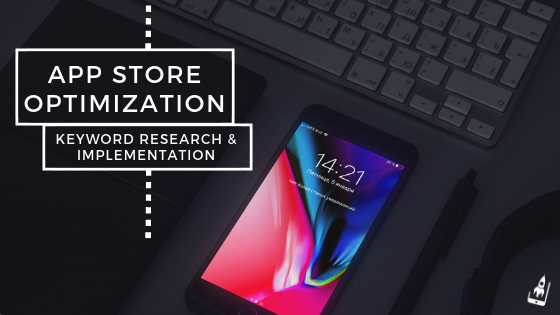 No matter where you launch your app, the keyword optimization cycle remains the same; there are just a few structural differences between the Play Store and the App Store. Your inbound promotional campaigns will direct the visitors to the App store where you have to convince them to glance through your value proposition and install the app. So, it’s not only important to use keywords strategically to boost organic installs, but also to frame the functionalities and highlights in a way that’s compelling to the visitors. Brainstorm with your team and jot down a line-up of direct and related keyword combinations that correlate to your app. Try to put yourself in the buyer’s shoes to try and understand how their minds work and which words they might use to search for your product. Focus on keywords that display buying intent instead of the generic open-ended ones. Don’t apply any filters right now; include all of your short, mid-length and long-tail keywords in the list. Keyword Planner tool for iOS apps, and Google Keyword Planner for Android apps will give you a lot of ideas that will help you develop the list. Other tools you can go for are – Übersuggest, OneLook Reverse Dictionary, Tune, Appcodes, Sensor Tower, MetricsCat even the auto-suggestion feature for Apple Store and Google Play is also a useful resource that’ll help you understand what people are already searching for. Spy on your competitors to look into the keywords they are targeting and those they are ranking for. Use tools such as AppTweak, AppAnnie, Apptopia, Prioridata, Mobile Action to get a clear picture of your playing field. If your app is already live, highlight the keywords that your app already ranks for. Also, take into account all the popular keywords which the top apps from a specific category rank for. Ensure that you’ve done the required keyword research for all the locations you’re planning to launch the app in. People’s interest, search pattern and even a few keywords may vary from place to place. So, it’s advisable to do individual keyword research for all the countries you’re targeting. 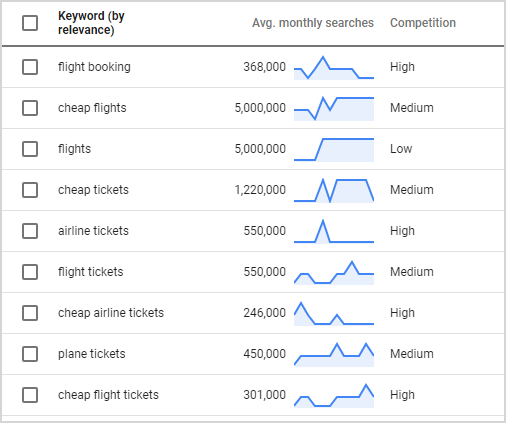 Now that you’ve created a backlog of all the relevant keyword combinations, the next step is to rank the keywords based on their buying intent, relevancy, popularity, difficulty score, search volume, and frequency. The purpose of this exercise is to filter out high-cost-low-yield keywords to finalize on the ‘right’ set of keywords that are perfect for your app. Aim for low-traffic keyword combinations with buyers intent instead of generic keywords with high search volume. Similarly, choose the popular keywords with low difficulty when starting out and test your way up. Repeat the process for the keyword lists for all the countries for localization. Use your keywords strategically in your app name, subtitle, description and keywords field. Use the space wisely and don’t repeat same keyword combinations. App title is probably the most important element that needs careful consideration. Whenever a user enters their search input, Google Play and iOS App Store search algorithm scan the app names for those keywords. There’s a limit of 30 characters for iOS App Store, and 50 characters for Google Play Store. As a thumb rule, keep the app name short and include the most important keyword that you want to target. Try to think of a unique name, but avoid any special characters (that won’t be visible in the URL) and don’t intentionally misspell words in an effort to be creative. 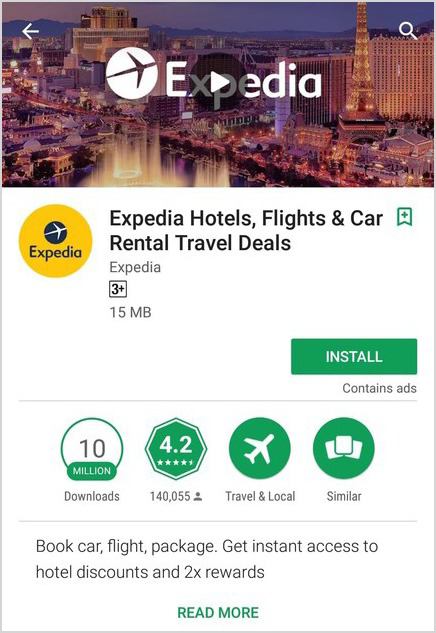 Test with the placement to analyze if the keywords placed at the beginning of the title makes more sense and encourages more downloads than the other possible alternatives. 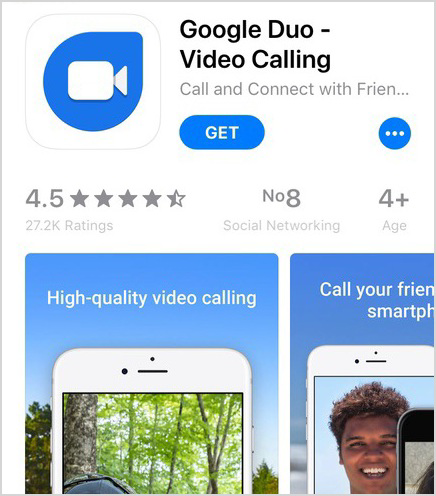 Google Duo inserted its most relevant keyword in the title but placed it at the back, as the keyword is fairly short and chances are it won’t get truncated. 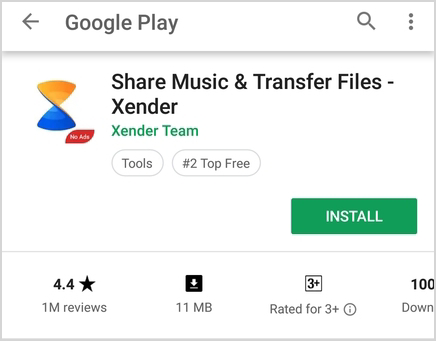 On the other hand, Xender puts the value proposition even before the app name to rank higher for relevant search queries. Introduced in iOS 11 and only available in the Apple App Store, this field gives you the opportunity to display your creativity by crafting the perfect keyword-laden tagline in just 30 characters. Again, this field was introduced in iOS 11. It’s limited to 170 characters and is not indexed, but you can use this space to communicate the value of your app to incite interest. Description matters more for Android developers than the iOS ones, as Google’s algorithm scans through the description for keywords. Craft a compelling write up that includes all the important keywords in the first few lines that will appear before the ‘Read More’ section. This section is for the short description (80 characters for Google Play and first 3 lines for Apple) and most people will just read this part to get an idea of the app. According to StoreMaven, only an average of 5% users will click the “read more” button below the short description on Google Play. You can include all other functionalities in the extended 4000-character long description. Aim to include all of your long-tail keywords, but keep the whole description sensible; keyword stuffing will be considered a clear violation of terms and conditions. Ensure that you format the extended description for easy-reading. Put emojis, bullet points and line breaks to make it interesting and eye-catching. List out all of your awards and testimonials at the beginning to assure the visitors of your credibility. App Store provides a separate keyword field where you can include all of your keywords in 100 characters. Try to make the best of it by using all of these characters and avoiding spaces, prepositions or trademarks. Separate every keyword by commas, and don’t repeat the same. Most importantly, don’t include the app name or company name in this space. Interestingly, both Google and Apple index the names of the in-app purchases. There’s a good news for the App Store developers, as in iOS 11, each in-app purchase has its own name, promotional image, and description. Even though there’s a limit of 30 characters for name and 45 characters for description, you can still incorporate your keywords in the write-up to get more visibility. This stage comes after you’ve finished adding all the elements and have published the app. Track your pre-determined metrics to understand which keywords are working and which aren’t. Monitor your keywords carefully to see your app ranking for each of the same. Check out how many times your app shows up in searches and which keywords are leading to actual conversions. Remember that it takes two weeks for Google and Apple algorithms to index all your keywords properly, so before making any changes set a time period for your monthly review. In every update or bug fixes, analyze and include any new keywords that you may be missing out on. Tweak wisely and A/B test with tools such as Splitmetrics, TestNest, Store Maven, etc. to create mockups and understand what appeals to your target group. Boost your app’s discoverability by understanding the logic behind App Store algorithm and using the insights to measure, analyze, and optimize at appropriate intervals. To stay ahead of your competitors, you need to think ahead and utilize the keywords sensibly and strategically. It’ll take time and practice and a bit of trial and error to get the right balance, but always keep in mind that keyword research and implementation is not only for the algorithms, it’s also for your viewers who are very much human and capable of taking their own decisions. Pritama is the Product Marketer at AppVirality, even though she prefers to be addressed as the crazy content lady. A content creator and curator, she's interested in every aspect of digital marketing. She enjoys quirky memes, witty tweets, and horrible puns. From where i can research relating keywords to this app. great article with some great tips to get your app noticed in an increasingly crowded space. I liked the last sentence in the summary though: ‘but always keep in mind that keyword research and implementation is not only for the algorithms, it’s also for your viewers who are very much human and capable of taking their own decisions’. Great advice to always keep in mind when optimising for app store and google search.